ST. LOUIS, Feb. 2, 2017 /PRNewswire/ -- Imagine what it would be like to have fewer things to remember and worry about – especially when it comes to making sure dogs and cats get the nutrition they need. Nestlé Purina is helping one pet technology company make this dream a reality. Obe, a San-Francisco based company founded by Hilary Jensen, is the grand prize winner of the first-ever Pet Care Innovation Prize. The Prize is a partnership between Nestlé Purina and investment firms Active Capital and Cultivation Capital. Obe produces smart pet products that make the day-to-day care of pets effortless so more time can be spent with pets. Obe's flagship product is ProBowl, a patent-pending, dishwasher safe bowl with a smart base that connects to your phone and WiFi via an app. ProBowl tracks a pet's food and water intake, provides feedback on consumption, and alerts pet owners to any changes that are out of the ordinary compared to normal consumption habits. The ProBowl app can also sync with Amazon to have pet food automatically delivered to your door. "At Purina, we were inspired by Obe's knowledge and passion to better connect and meet the needs of dogs and cats through the use of technology," said Blair Morgan, Vice President of Marketing, Emerging Growth Group at Purina. "It's an honor to be the first-ever winner of the Pet Care Innovation Prize and to be connected with Purina and other great companies who are all working toward the same goal – bettering the lives of pets," Jensen said. "The support from the Pet Care Innovation Prize has been invaluable to the growth of the business." ProBowl was inspired by Jensen's dog whose nickname was Obe, whom she wished to communicate with on new level. "We are all busy with a lot to remember," Jensen said. "ProBowl takes a few things off your list, so you don't have to worry. No more texting your spouse to find out whether the dog has been fed, or who is going to pick up the dog food. ProBowl is simple enough that even your 8 year old can feed your pet the right amount every meal. Knowing ProBowl takes care of the details for me lets me spend more time the way I want – with my dog of course!" Dr. Ernie Ward, an internationally recognized veterinarian and founder of the Association for Pet Obesity Prevention, helped develop ProBowl. "ProBowl and the app give you daily access to veterinarian advice. Just like humans, the earlier we identify issues, the more likely we are to prevent bigger problems. ProBowl and the app track everything your pet eats and drinks, making it easy to share data with your veterinarian." Obe was one of five finalists for the Pet Care Innovation Prize. All finalists received a $10,000 cash prize along with immersion in a multi-day accelerator program in St. Louis. As the Grand Prize Winner, Obe received an additional $10,000 for business development and will be an exhibitor at the 2017 Global Pet Expo, one of the world's largest pet industry events. Expo attendees can meet Obe's founders and see the ProBowl in action, and retailers can find out how ProBowl can help them drive traffic to their online and brick-and-mortar stores. More than 80 companies from 11 countries applied for the Pet Care Innovation Prize. The contest identified and supported early-stage pet care companies in the growing global market, which has $60 billion in annual U.S. sales alone. The competition was tailored to companies producing food, nutrition, pet care, play and technology products and services for dogs, cats and their owners. Other finalists for the Pet Care Innovation Prize included FetchFind, Ewegurt, K9 Fit Club and PupPod. "All of the finalists for the Pet Care Innovation Prize were inspiring in their efforts to shape the future of pet care and improve the lives of pets," Morgan said. "This innovation prize has been a tremendous opportunity to engage with and support others with a common vision of a better world for pets and people." Pet owners interested in pre-ordering the ProBowl, which starts at $99, can visit ObeDog.com for more information. Shipping is expected to begin in the spring. Obe makes smart pet products focused on improving dog and cat health and wellbeing. 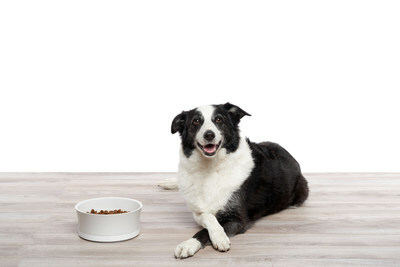 Obe's flagship product is ProBowl, a smart bowl for cats and dogs that personalizes every meal just for your pet, makes recommendations about nutrition and care, manages schedules, and reorders pet food automatically and has Amazon deliver it. Obe makes the day-to-day care of your cat and dog effortless. Active Capital is a St. Louis-based impact investing leader. Through programs like the Pet Care Innovation Prize and the Emerging Venture Leaders Summit, Active Capital helps startups, investors and communities come together with innovative products, initiatives and activities.